If you are involved in an auto accident in British Columbia, you may seek compensation for your injuries and other damages regardless of whether you are “at fault” or an innocent car accident victim. 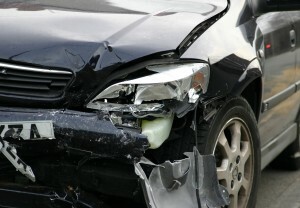 If you are at fault in the accident, Part 7 ICBC no fault benefits may still compensate you. If you are injured by another driver who is responsible for causing the motor vehicle accident, you may file a claim with ICBC, which will pay your claim as the insurer of the person whose negligent (careless) driving caused the accident and your injuries. Once you are involved in an auto accident and need to seek compensation from ICBC, you are in the precarious position of needing to provide information so that ICBC can evaluate and process your claim, but this same information may be used by ICBC to reduce the value of your claim or deny your claim altogether. If you are involved in a car accident in BC or elsewhere in the province or anywhere in Canada, you should seek immediate legal advice before you provide a detailed statement to ICBC. This does not necessarily mean you must retain a law firm immediately, but you should get immediate legal advice. The way your medical treatment is handled as well as your initial meeting with an ICBC adjuster can have an enormous impact on the outcome of your claim. If there is a chance you may be at fault, you must meet with an ICBC adjuster within a few days because ICBC may claim that your delay prejudiced their ability to defend you in the case. This means that you must contact a lawyer promptly to get legal advice before your initial meeting with an ICBC adjuster. If you are sure you are not a driver who is at fault in the accident, you need only give prompt notice of the accident, which you can do online, or by calling ICBC’s dial-a-claim. You must provide a written report within 30 days of the accident but are not necessarily required to sign a statement or even be interviewed by an ICBC adjuster. You must also file a notice of claim on the appropriate form to ICBC within 90 days. This gives you time to overcome the stress and anxiety from your accident, seek legal advice and guidance and obtain medical treatment, which may even be coordinated by Mulligan Tam Pearson. There are also very important time limits set in court called “limitation periods” that can prevent you from receiveing any compensation if they are missed. Missing these limitation periods is one of the most serious and avoidable mistakes in claiming for compensation when you are injured. A common practice by ICBC is to have a person provide a detailed verbal account of one’s accident and then present it to you for signature. It is very important to ensure that the statement is completely accurate because any error or omission will be used against you later. If you obtain an initial consultation with a lawyer, the lawyer can make sure that you are prepared for any meeting with ICBC and advise you about what to expect and how to handle the meeting. You should not sign the statement but should tell the adjuster you are going to take it home and review it to make sure it is completely accurate. This will allow you to have a lawyer review the statement and provide appropriate legal advice. Mistakes about your past medical history, the circumstances of the accident or the seriousness of your symptoms or injuries may all hurt your claim. If you meet with an ICBC adjuster, they may ask you to sign a broad authorization for information from your employer and medical providers. You are not obligated to sign this authorization and may find that doing so does not help your claim. However, if you do not sign the authorization for medical records, then ICBC may delay providing medical benefits. We can help you make any reasonable amendments so that your medical treatment is not delayed. We may find that it is better to submit medical records to establish your claims or only those employment records that are necessary to establish your claim. Most ICBC cases that we handle settle without going to court, but we will go to court to pursue your claim if ICBC does not agree to provide an appropriate amount of compensation as part of your settlement. The initial steps you take immediately following your car crash can have a significant impact on the outcome of your claim. It is particularly important that your medical treatment and initial statements to ICBC are handled properly. At Mulligan Tam Pearson, we offer a free no obligation initial consultation so that we can evaluate your claim and advise you how to proceed. Whether you are looking to retain a law firm to handle your ICBC claim or simply want initial legal advice so that you can decide how best to proceed, the experienced lawyers of Mulligan Tam Pearson can help. Call (250)480-4040 today for your free initial consultation.